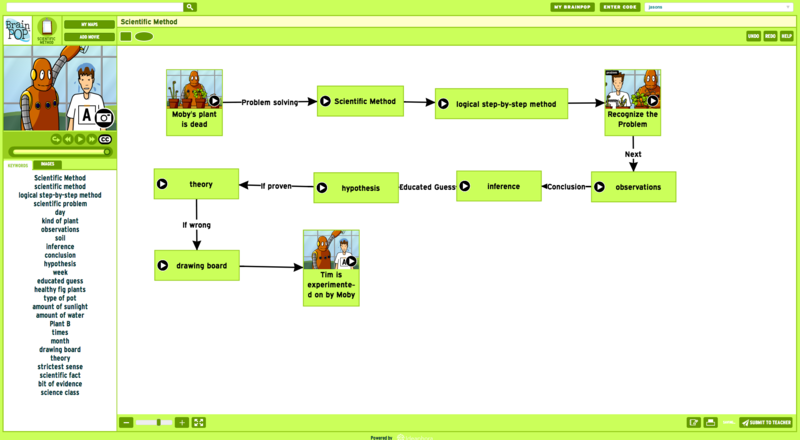 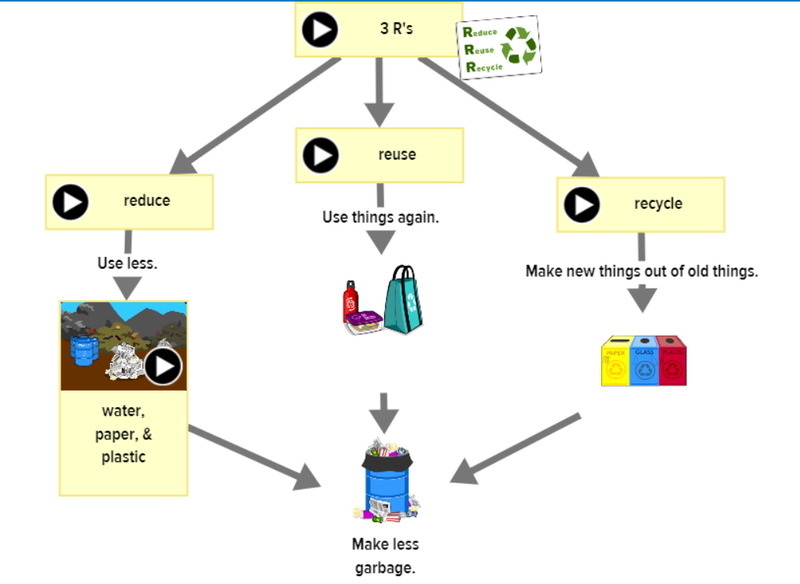 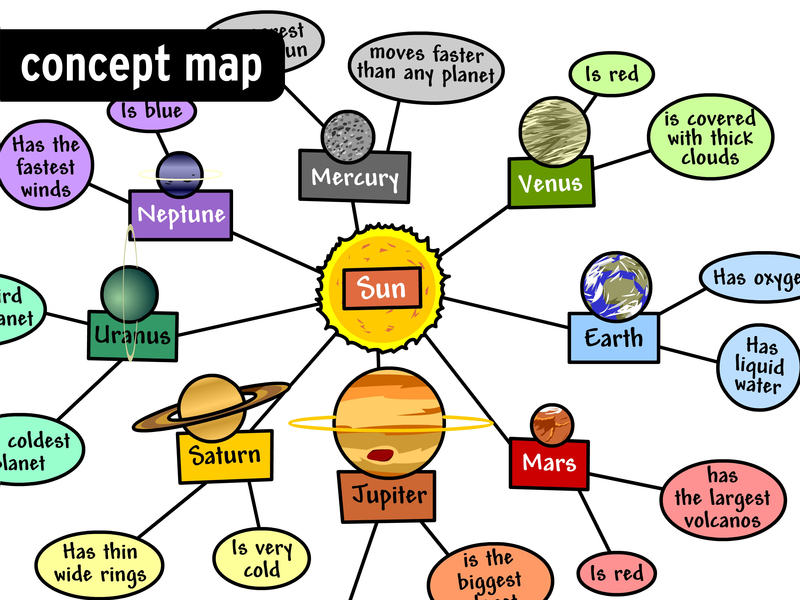 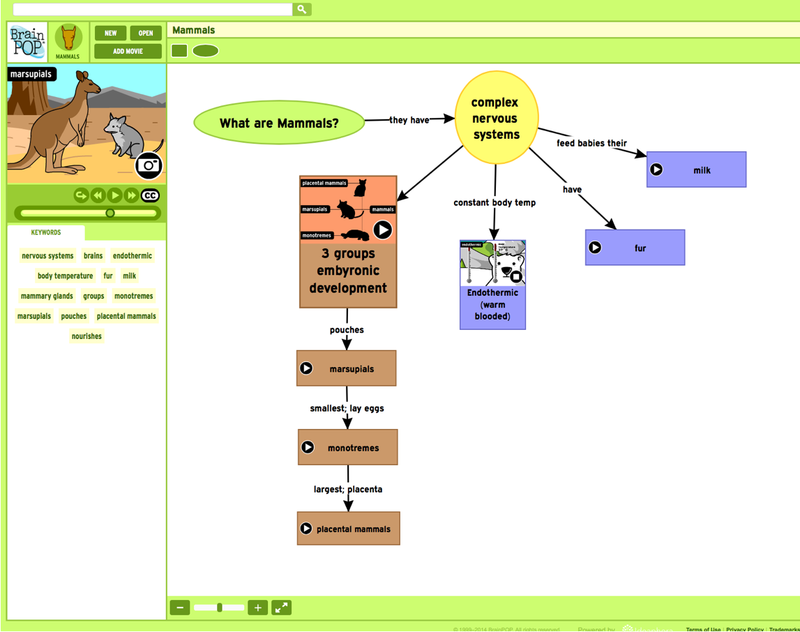 Make-a-Map, BrainPOP’s concept mapping tool powered by Ideaphora, invites students to make meaningful connections between concepts using BrainPOP images, keywords, and movie clips. 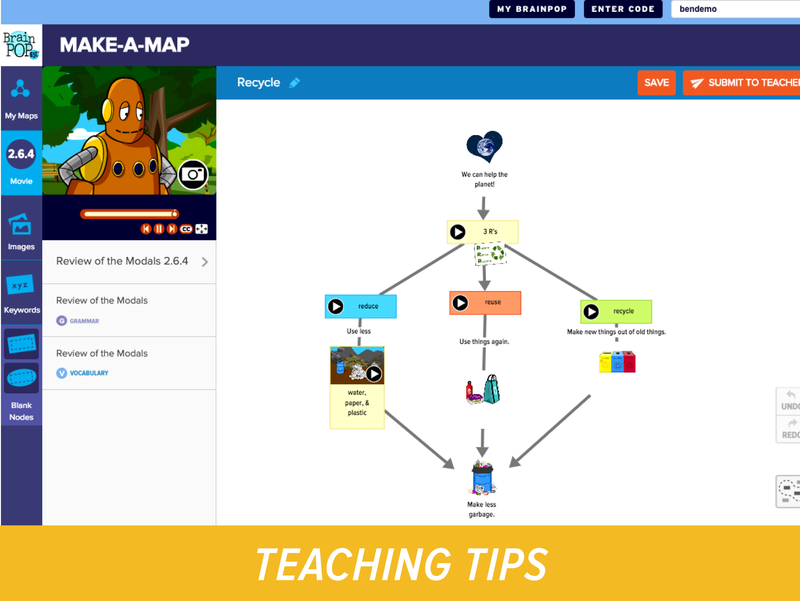 Get yourself and your class up to speed by watching our free concept mapping movies on BrainPOP and BrainPOP Jr.
Screencasts and a step guide will help you get started using Make-a-Map in your classroom. 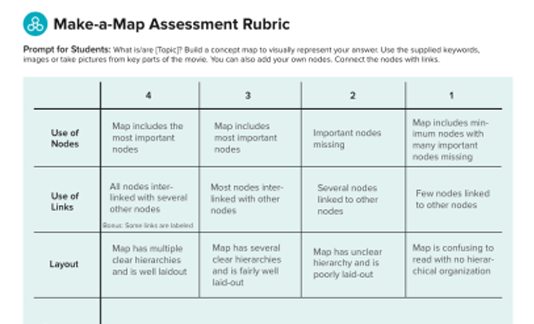 For help on how to use Make-a-Map with your students, we’ve provided support on everything from implementation and collaboration to assessment and much more. 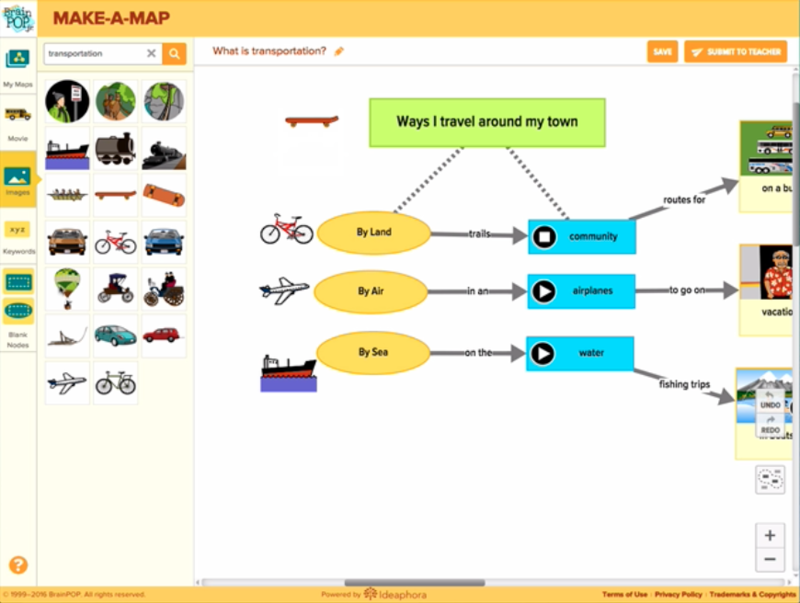 Hear what teachers and students are saying about Make-a-Map. 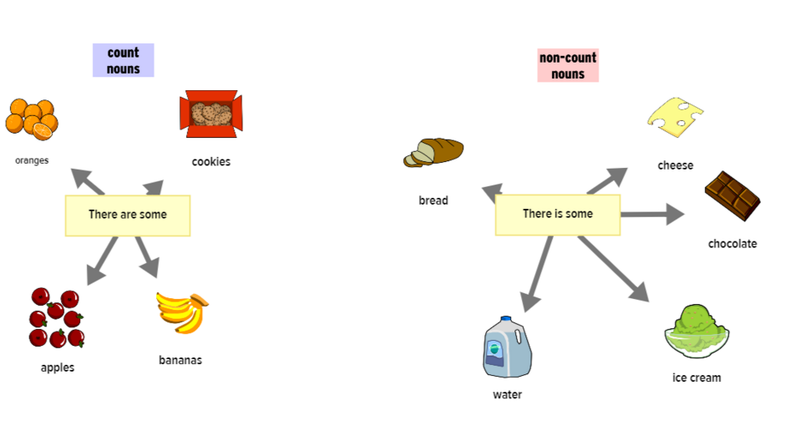 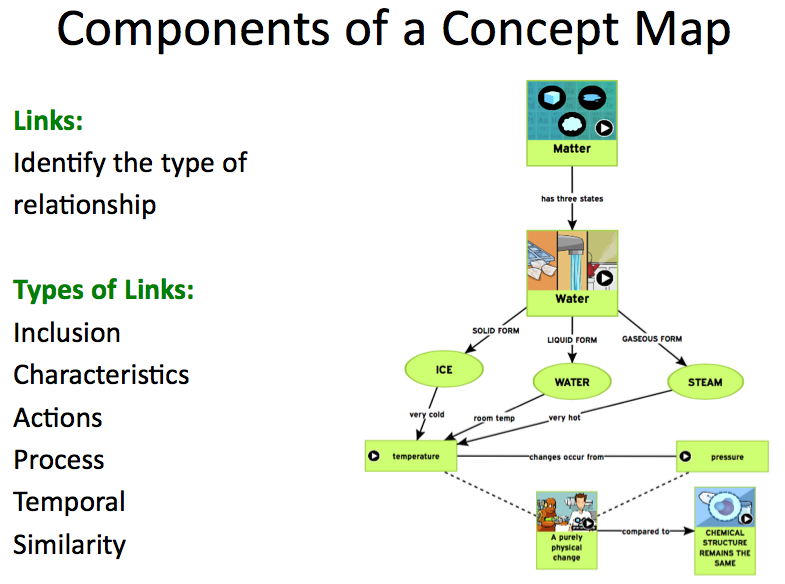 Take a look at exemplar concept maps made with Make-a-Map. 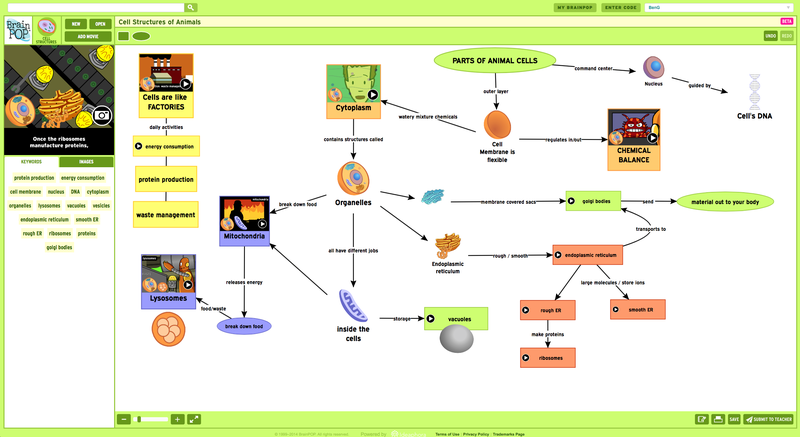 Cell Structures concept map created with Make-a-Map!